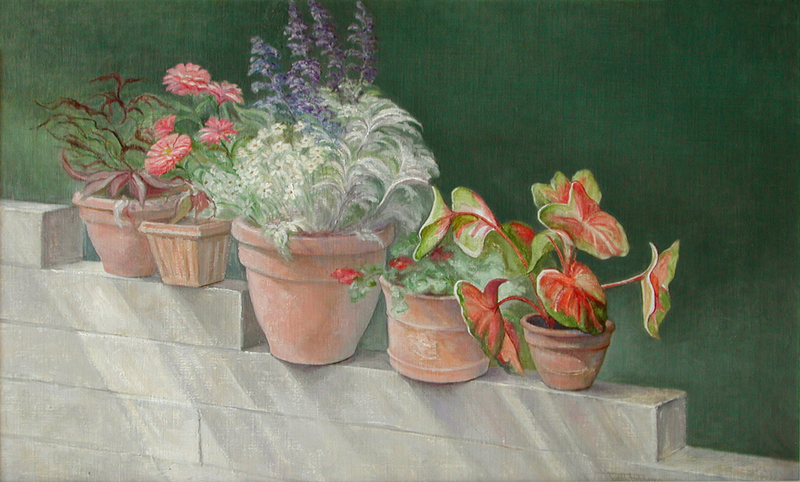 Pots of summer flowers bloom on a garden wall. Oil on linen. 5" x 8.25"6" x 10"7" x 11.5"8" x 13.25"8.5" x 14"